Lima Sol House i Limassol, Kypros: Bestill nå! Located in the heart of Limassol and minutes away from its historic castle in the old town. With new management and new ideas we invite you to our city's sunny climate and wonderful beaches. The Hostel consists of 4 rooms. 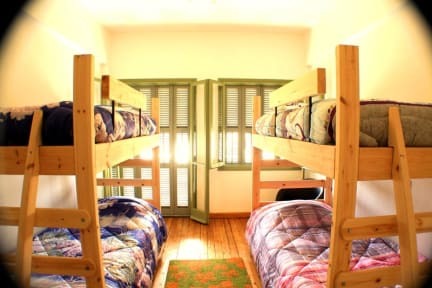 First room is a single room, second is the double room with private balcony and then followed are the female dorm with four beds and the mix dorm with five beds. With a short walk towards the old town you can find many types of shops, cafes, restaurants and bars .Our location allows you to live like a local and be immersed in the city's life /vibe. Our staff is always around for anything you might need. We provide you with free coffee and tea for whenever you like. Free bed linen and towel on check in. No Reception but 24hour access. Please let us know your check in time. Respect to other and smile!